Chicago is the third largest city in the United States and the largest city in the State of Illinois. The population of close to 2.7 million is diverse. In fact, the Chicagoland area is home to one of the largest and most diverse immigrant populations in the country. An integral part of Chicago’s diversity is its neighborhoods. Each Chicago neighborhood is unique, often having its own resources and ethnic vibe. For example, the Humboldt Park neighborhood, where our focus child, 5-year-old Armando, lives, has a population of mostly Hispanic/Latino families. Historically, Humboldt Park, on the west side of Chicago, welcomed immigrants—first from Europe and more recently from Mexico. Armando’s parents are from Mexico and enjoy their life in this predominantly Latino neighborhood. Armando has three brothers, Marco (age 6), Alex (age 10), and Alfonso (age 15), and one sister, Marta (age 8). The family lives close enough to the children’s grandparents to visit on the weekends. All of Armando’s older siblings currently attend school in the Humboldt Park neighborhood, and they all attended Erie Neighborhood House for preschool. 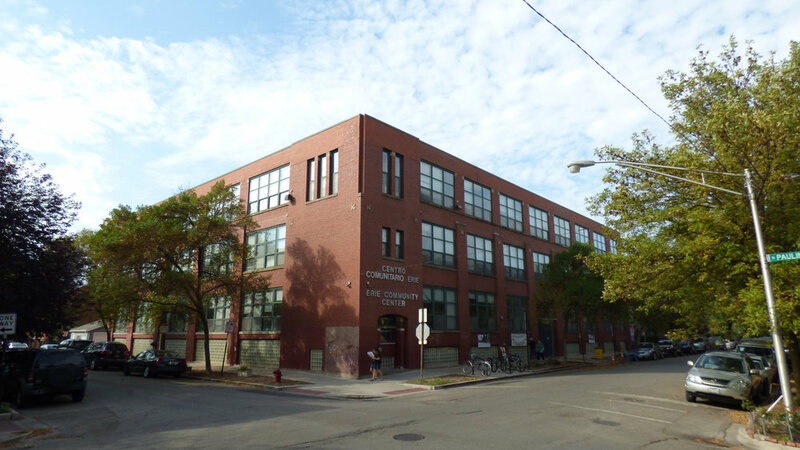 Armando currently attends Erie House, which is located a few neighborhoods away from the Humboldt Park neighborhood, in the West Town area of Chicago. In total, Armando’s family has been involved with Erie Neighborhood House for 13 years. Erie Neighborhood House is a social service agency with an early childhood education program as well as many other services for Latino families. Erie House serves primarily low-income Hispanic and Latino families in the West Town neighborhood. 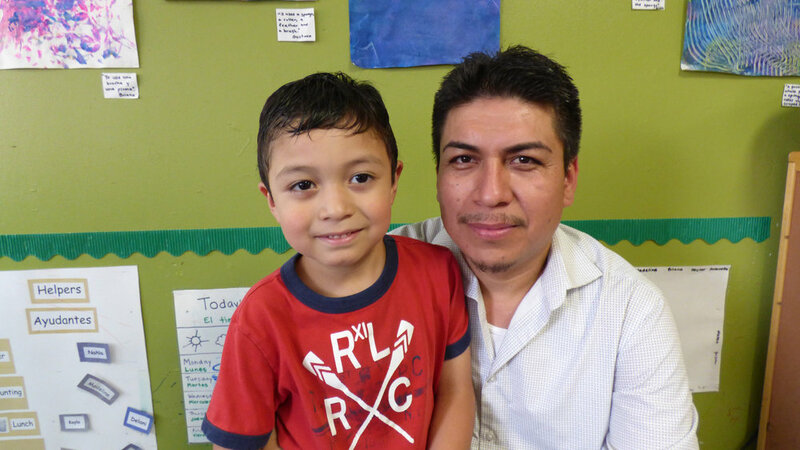 Armando’s father explains that his family continues to return to this preschool program, not only for the education and care that his children receive, but also for the overall family support that Erie House offers. As a low-income family, Armando’s family relies on programs like Erie Neighborhood House, which offer federally funded Head Start services as well as state-funded preschool and early care services. Although Armando comes from a low-income background, his daily experiences are typical of many children living in Chicago. 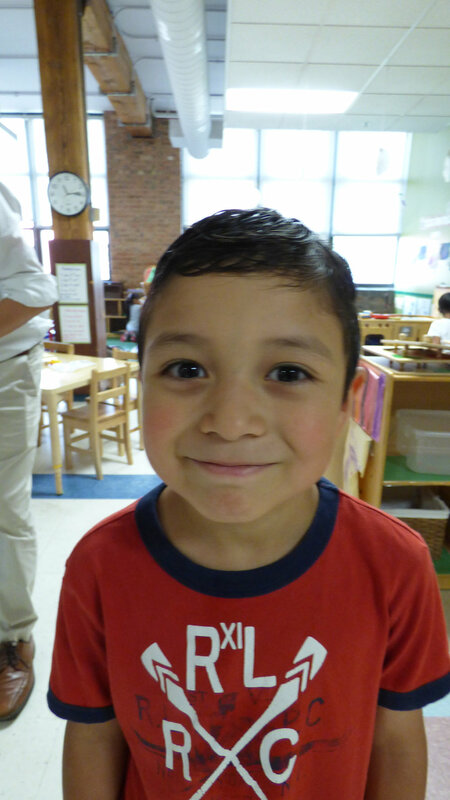 The preschool day for Armando is 8:00 a.m. to 3:30 p.m., Monday through Friday. On school days, Armando’s father drives the children to school in the morning and his mother picks them up at the end of the day. Typically, after school, the family enjoys a snack and stops at a local park to play. They then go home and eat dinner together. After dinner, Armando plays with his brothers and sister and watches a little television before getting ready for bed. Armando’s father works on the weekends, so his mother is in charge of weekend activities. If the weather is nice, they may go to a park and get pizza. On Sunday, Armando’s family attends mass at a Catholic church, then visits the grandparents nearby. They typically go home after visiting and watch movies together. Armando told us about his typical preschool day and about what he enjoys doing with his family. What do you do in the morning before school? “In the morning, I sleep and I wake up and drink water. I eat cereal for breakfast or have milk and bagels, but my favorite breakfast is sausages. I like to eat food before I go to school. Then I brush my teeth. “When I first get to school, I play. I like to play Magna-tiles (connecting tiles that stick together with magnets). Then my class cleans up and sits down on the carpet. I draw in my journal [while sitting] on the carpet. I like to draw food. I draw me eating pizza with my brothers and my mom and my dad. I like to draw my house, too. It’s all blue and golden. Then I go wash my hands and eat breakfast at school. I eat breakfast two times! At home and at school. My favorite breakfast at school is sausages and eggs and fruit. Then I brush my teeth and go to my carpet and read a book. Then we sing a song. I like to sing. I sing Justin Bieber at home, but we sing other songs at school. My favorite song is ABCs. Then we go play again after we sing. I like to play Magna-tiles and Legos™ with my friends in the classroom. I like to play with Jorge. He’s my friend. And Christopher is my friend, too. I like to play with him, too. They’re my best friends. We like to play tag outside. I like to play with my mom and my brothers at home, but I play with my friends at school. We play tag and we play monsters. Then we go back to the classroom and I listen to a story. My favorite book is Dinosaur Farm. It’s about a farmer. He has dinosaurs in the farm. Then we eat lunch. I like to eat carne (meat) and pan (bread). Then we clean up and I brush my teeth and use the bathroom. “My mom picks me up and then we go home or we go to the park. I play with my toys at home. I like to play with my oldest brother Alfonso. I like to play tag with my brothers on the sidewalk. And I like to play with my cars, too. My favorite toy to play with at home is cars. They race. I like to race the cars. Then I eat dinner. I like to eat huevos (eggs) con salsa. And I like tacos and chili (peppers). All the chili! They’re hot! I eat chili with hot dogs. Then I watch TV and eat bananas. I like to watch shows on TV. I like Spiderman. As you can see, Armando enjoys a family-centered life and enjoys full-day preschool at one of Chicago’s oldest social service agencies, which dates back to 1870. Chicago welcomes families from all over the world—a proud tradition of the past that continues today. David Banzer is the Education Coordinator at Erie Neighborhood House and taught preschool for 8 years. He earned an M.Ed. in Early Childhood Education from University of Illinois at Chicago and is currently a doctoral student at UIC, majoring in Educational Psychology. Christina Delgado is a preschool teacher at Erie Neighborhood House with over 10 years of teaching experience. She earned an M.Ed. in Early Childhood Education from the University of Illinois at Chicago and has teaching credentials for early childhood and ESL/Bilingual Education. Kathleen M. Sheridan Ph.D. is an associate professor in the Educational Psychology Department in the College of Education at the University of Illinois at Chicago. In addition, she is a visiting scholar at the Institute for Government and Public Affairs at the University of Illinois. She received her Ph.D. in Child and Family Studies from the University of Wisconsin-Madison and her M.A. from Washington University in St Louis. Gayle Mindes Ed.D. is Professor of Education, DePaul University, Chicago. Mindes writes on the topics of assessment, kindergarten, and social studies. A recent edited publication is Teaching Children With Challenging Behaviors: Practical Strategies for Early Childhood Educators. (2018) New York, NY: Routledge.